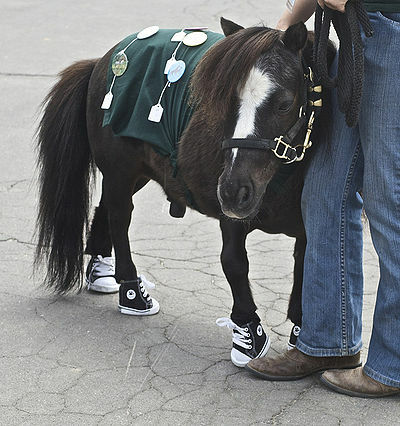 The gene responsible for dwarfism in Miniature Horses is called the aggrecan gene (ACAN). DNA testing for 4 mutations of the gene is being offered at the University of Kentucky Animal Testing and Research Laboratory. The mutations were found by a PhD student, John Eberth, at the UK Gluck Equine Research Center. John is studying under Ernie Bailey PhD, professor of genetics and genomes at the Center. The 4 mutations of the gene are different from skeletal atavism which is a type of dwarfism seen in the Miniature Horse and Shetland Ponies. ACAN mutations are also dissimilar from osteochondrodysplasia dwarfism seen in such breeds as the Freesians. The mutated genes are named D1, D2, D3 and D4. Since horses that are carriers of ACAN mutations do not exhibit any of the characteristics of dwarfism, it’s encouraging that tests are available now to discover which of the mutations is present. One of the mutations causes early abortion or absorption of the fetus. 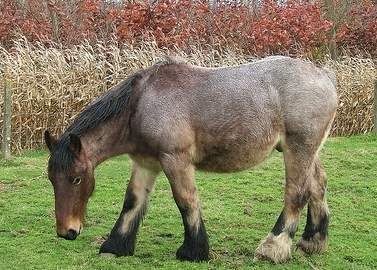 Two of the mutations produce a dwarf foal with many physical problems. Researchers strongly advise against breeding carrier males and females together. Results of such a breeding are serious health issues. For information on the testing, check online at www2.ca.uky.edu/gluck/AGTRL.asp#dwarfism; Kathryn Graves PhD, assistant clinical professor and director of AGTRL at [email protected] or call 859 218 1193.